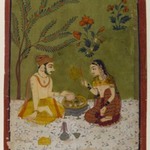 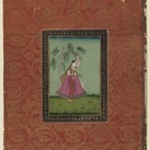 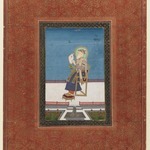 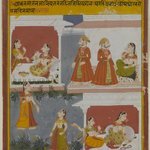 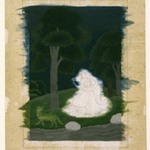 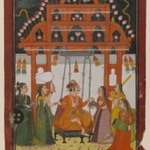 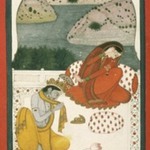 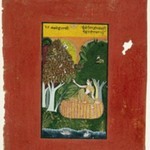 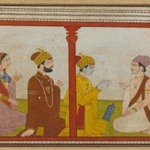 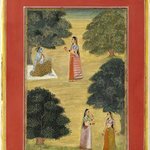 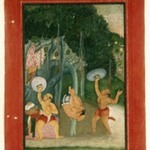 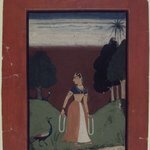 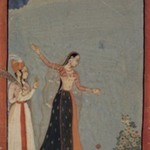 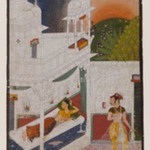 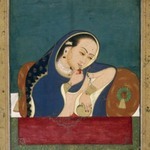 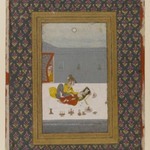 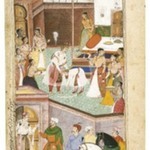 This painting depicts an unusually optimistic ragini, Bilavala, with a woman grooming herself in preparation for a romantic tryst. 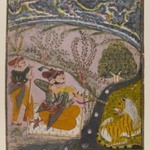 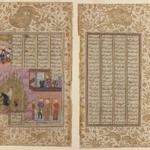 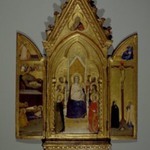 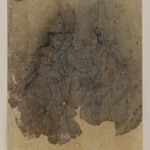 A servant holds up a mirror while the heroine adjusts a hair ornament, and another servant entertains them with music. 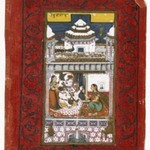 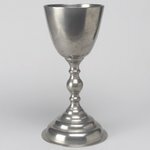 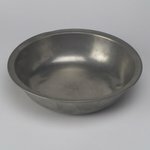 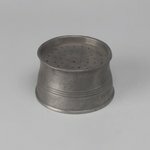 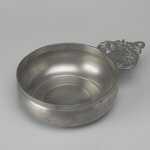 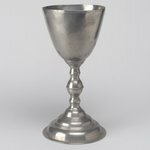 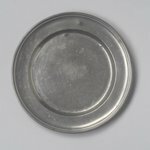 They are situated within a palace courtyard of the type found throughout northern India in the eighteenth century. 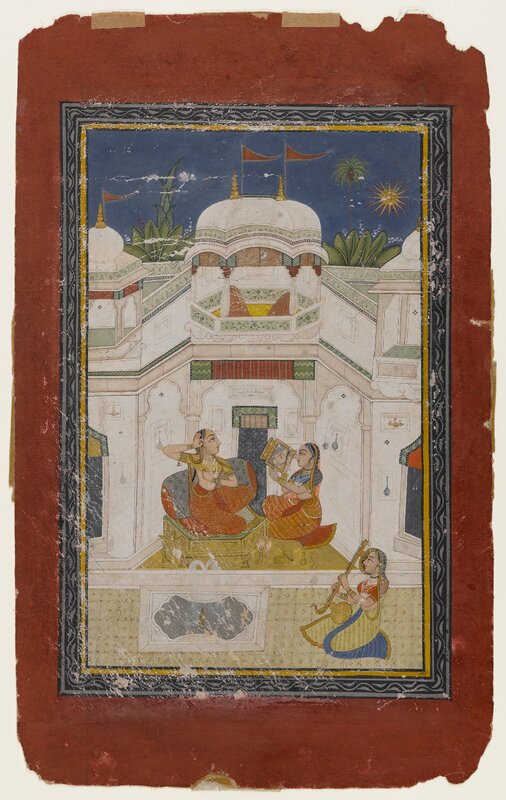 The pair of cushions in the cupola on the roof might indicate that this will be the setting for the upcoming tryst. 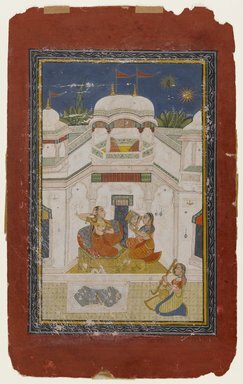 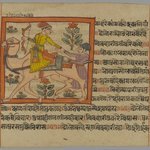 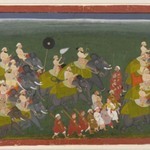 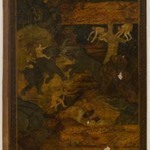 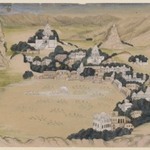 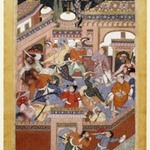 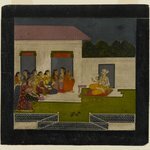 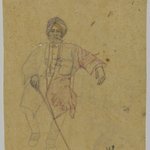 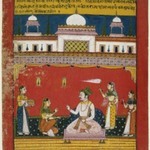 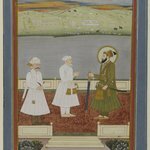 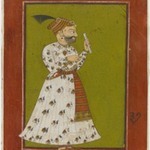 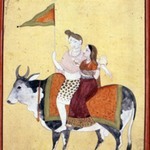 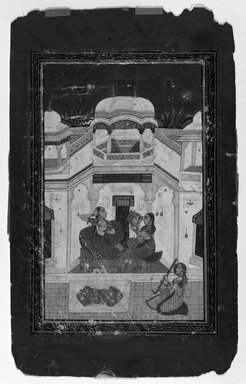 The painting is from either Bundi or Kota, neighboring principalities where innumerable music-themed paintings were produced. 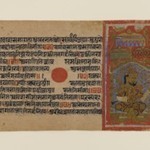 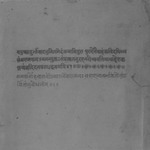 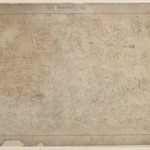 INSCRIPTIONS Verso, at top, in black ink, in Devanagari script: Belaval Ragini [of] Hindol raga.